Layero is a team of professionals each contributing more than 5 years of experience in developing with WordPress. It is a premium WordPress themes and plugin company which delivers clean coded, responsive and Bootstrap optimized WordPress themes and beautiful HTML templates. Layero started to sell reliable premium responsive WordPress themes and templates so users, especially small business owners, can save their time and money spent on fresh modern design and development. They assign a support agent for each buyer within 24hours of a purchase so buyer can quickly & directly contact him via email without submitting a support ticket. 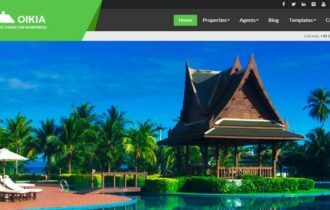 It has currently 3 different WordPress themes for different niche – for a real estate theme, tour / travel booking theme and a wedding theme. 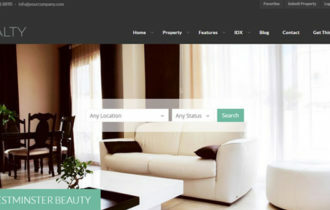 Graha is a fully responsive real estate WordPress theme to manage your real estate listings, single brokers, estate companies and agents. It has uniquely crafted map based design with Google map and map based listing to showcase your properties, location and other related details on the map. User can directly select property from the map and view their details or send inquiry. 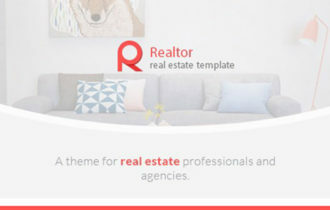 Furthermore, theme packed with additional key features like Bootstrap design, Multiple colors & backgrounds, List unlimited properties, amenities listings, 360 advance theme option, panorama, video support, client testimonials, simple search and much more. 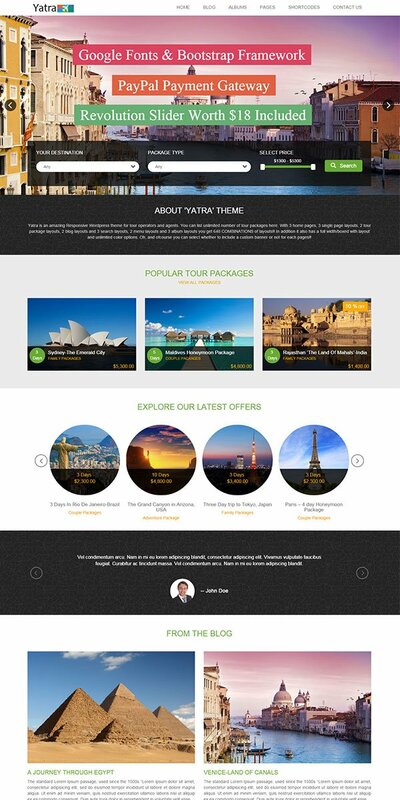 Yatra is an amazing tour & travel booking WordPress theme built with responsive Bootstrap framework. It is perfect option for travel agencies around the world who offer national and international tour packages. Theme integrate with PayPal payment gateway means your visitors will be able to purchase the your packages instantly. 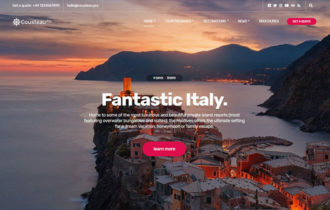 It includes the features and custom page layouts to display tour packages, travel destinations, vacation packages, cruises etc. This fast loading theme is awarded ‘A Grades’ by ‘Page Speed’ and ‘Y Slow’. 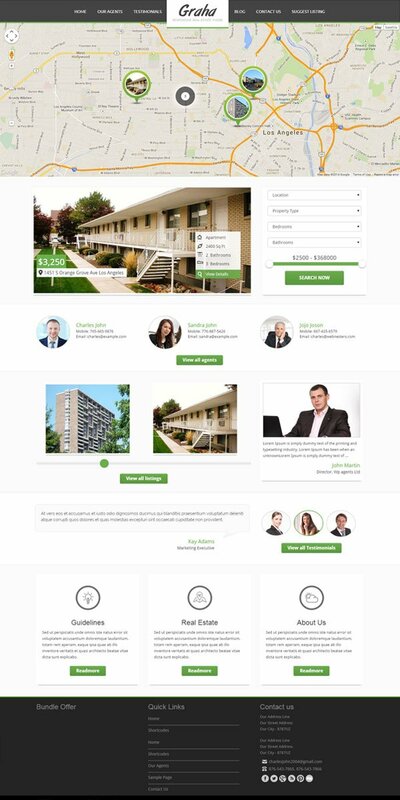 Other key feature theme include: built in booking page, 3 different homepage, 2 tour package layouts, 3 search and album layouts, Font Awesome icons, revolution slider and other great features that enhance your site functionality. ‘Wedding’ is a completely responsive and mobile friendly WordPress theme specially designed for the best day of your life; your wedding. Theme comes with all the features that you need for create a great looking wedding website. 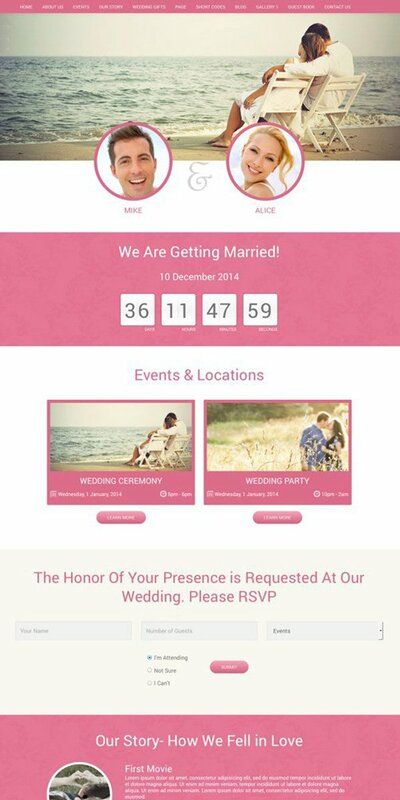 It has single column design with all the best features and functionality like countdown timer, gift registration page, share story via timeline, shows important details, stylish gallery, blog page, easy setup, multiple color & layout, custom shortcodes, guest book, and more. It built with Bootstrap and is compatible with the latest 4.0+ versions of WordPress.